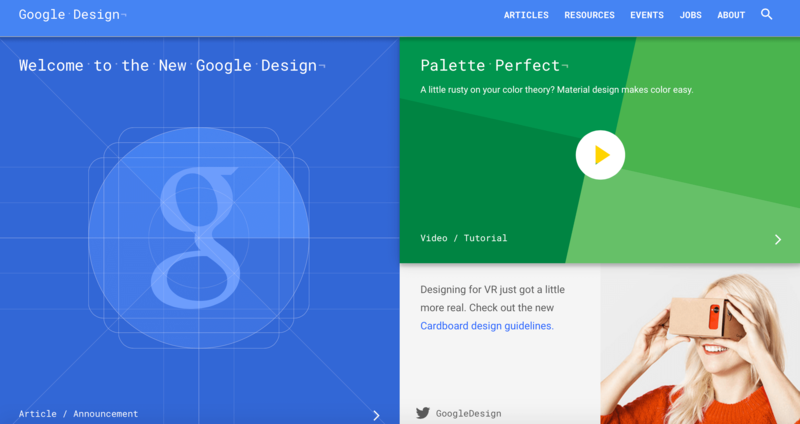 Following today’s announcements of the Android M, Android Pay and plethora of other great products at Google I/O 2015 conference , Google Design has launched a redesigned website with a brand-new interface, features and resources. The new interface emphasizes a Material Design aesthetic, which includes cards layout, bold colors and smooth ripple effects. Several new videos has been added as well, including “Making Material Design”, “Refining Roboto“, “Crafting Material”, “Palette Perfect” and “Smart Paper”. Individual pages such as “Articles”, “Resources”, “Events” and others, have also been formatted to fit and fully emphasize Material Design style. In addition to the new look, Google quietly revealed an update to its Material design language and introduced new guidelines and resources for Android Auto, Android TV and Cardboard.